First Avenue Foods, LLC. and its affiliates are a Brooklyn based family owned and operated wholesale meat, pork and poultry purveyor in business for more than 75 years. The Company is known throughout the industry for very top quality products and exceptional service. Our customers include many of New York’s finest steakhouses such as Peter Luger, Wolfgang’s and Benjamin’s. Top butcher shops such as Ottomanelli Brothers and Lobel’s and gourmet markets including Grace Balducci and Citarella to name a few as well as sporting venues including MCU Park, home of the Brooklyn Cyclones and the Capital One Arena, home of the Washington Capitals and Wizards. The original Brooklyn Burger, conceived nine years ago, is a premium steakhouse burger made from the finest cuts of the highest quality beef. We have recently rolled out our newest Premium Blend Steakhouse Burger blended with Chuck, Brisket and Short Rib. 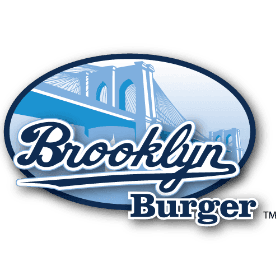 Our product appeal stems not only from its high quality ingredients but also the enormous marketing appeal that the brand “Brooklyn” is currently associated with. We are confident our new flavors will capture new audiences and help us capitalize on our established reputation and expand into untapped market niches.